It is a birthday today that needs to be recognized and acknowledged. 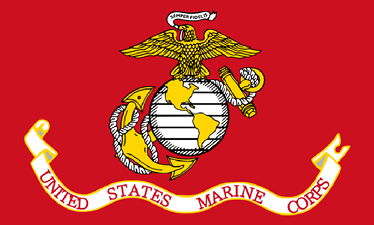 The birthday of the United States Marine Corps. As the first order of business, Samuel Nicholas became captain and commanding officer of the newly formed Marines and visited numerous public inns and taverns throughout the city of Philadelphia to begin recruiting. One of his first recruits was popular patriot and tavern owner Robert Mullan. Capt Mullan owned Tun Tavern, which subsequently became part of military lore as the birthplace of the Marine Corps. Hats off to them both,… and semper fi. And if your family members served, the general records of the U.S. Marine Corps are held by the National Archives in Record Group 127, Records of the United States Marine Corps, 1775-1981. There’s an overview of the records and their locations in the online Guide to Federal Records in the National Archives of the United States at the NARA website, Archives.gov. • Pre-World War I: For an enlisted service member discharged, deceased or retired before 1 January 1905 and some officers who served 1798-1895, the records should be in the National Archives’ Older Military Service Records in Washington, D.C., and can be ordered using form NATF-86 for military service records and NATF-85 for military pension and bounty land warrant applications. • Through 1953: The Official Military Personnel Files of those discharged from World War I through 1953 should be in the National Archives’ National Military Personnel Records Center in St. Louis as archival records, while later records are considered non-archival, and are restricted to the veteran and next of kin. • Recent-current: And for those discharged recently (after 1999) or still in service, the records are still held by Headquarters, U.S. Marine Corps, Personnel Management Support Branch. Thank you for remembering the Marines in you Blog. Two members of my family, my father and my brother, served as U.S. Marines and both were very proud of the Corps. Some of your readers may not realize that the first officer commissioned to lead the U.S. Marine Corps was a Quaker, and even though Samuel Nicholas was disowned for taking up arms, his body was permitted to be buried at the Friends Meeting House on Arch Street in Philadelphia, in 1790, when he died of Yellow Fever. What a great bit of history, Sandi! And semper fi to your father and brother!